Power-assisted micro laser liposuction is the latest form of liposuction, which uses advanced, personalized laser contouring techniques to remove all types of fat from specific places on the body efficiently. Micro laser liposuction can be performed without general anesthesia and works well on problem areas such as the neck, back, hips, thighs, abdomen or knees. Patients who are practicing a healthy lifestyle but have found little success with diet and exercise are often excellent candidates for this kind of liposuction. That’s because this newer treatment option works especially well to remove fat from areas of the body that have previously been stubborn or unresponsive to traditional weight-loss methods. This advanced treatment option gives patients a way to transform their bodies quickly and effectively through modern technology. Numbing the Area(s): Before beginning any actual liposuction treatment, Dr. Potyondy will numb the area where work is to be performed with localized anesthesia. This type of anesthesia allows the patient to be both comfortable and awake during treatment, making for more efficient treatment and recovery. Removing Fat: The procedure itself involves a highly advanced and targeted liposuction technique that identifies, liquifies and removes excess fat from the body. 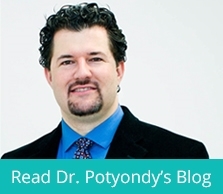 Using micro cannulas (i.e., thin, hollow tubes) and light suction, Dr. Potyondy takes out fat from specific areas of the body. Because this method is so refined, it is designed to work faster and less invasively than other methods. Sculpting Body Parts: The last step is to refine sculpting further with a micro laser that tightens skin at the removal site and stimulates new collagen formation. A micro cannula with a laser fiber gently heats fat cells and allows the physician to contour and sculpt the body as desired. This part of the procedure is what gives the patient a smooth, attractive finished result. Specifically created to remove fat in areas where a person has had loose, saggy skin, power-assisted micro laser liposuction is not a cure for obesity or poor lifestyle habits. However, in situations where a person has not been able to see results from changes to diet and exercise, it can be an effective way to contour and refine body parts. One of the largest benefits of power-assisted micro laser liposuction is that it does not require general anesthesia for the patient. Instead, the individual is awake during treatment and receives only localized numbing—which means faster recovery afterwards. While every individual is different and recovery times may vary, many people who undergo power-assisted micro laser liposuction are able to return to regular activities within a few days. There may be some soreness or tenderness for a while after surgery, but the person can usually still function fairly normally soon after the procedure is done. After undergoing and recovering from treatment, patients are often thrilled to see a significant difference in their overall body shape and feel. While every individual is different and his or her reactions to treatment with vary, liposuction can truly transform and reshape parts of the body where fat has accumulated. With smart lifestyle choices, a person can often keep off weight in the future, especially in those areas where the procedure was performed.